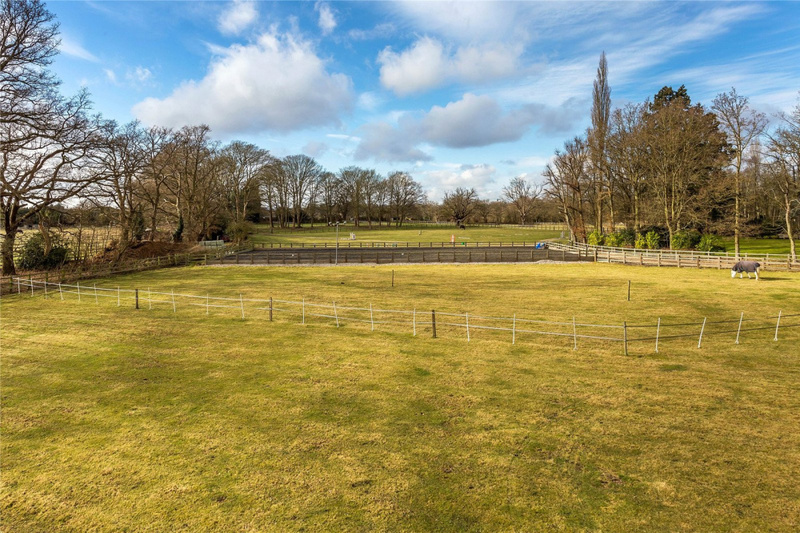 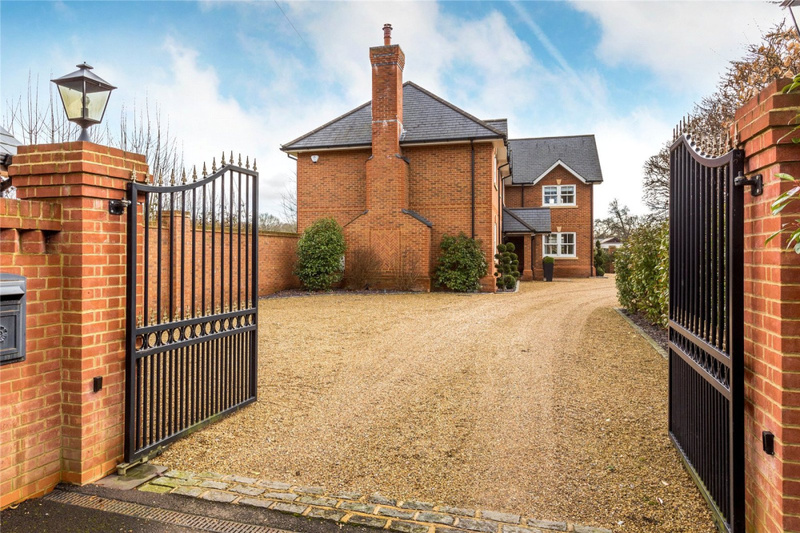 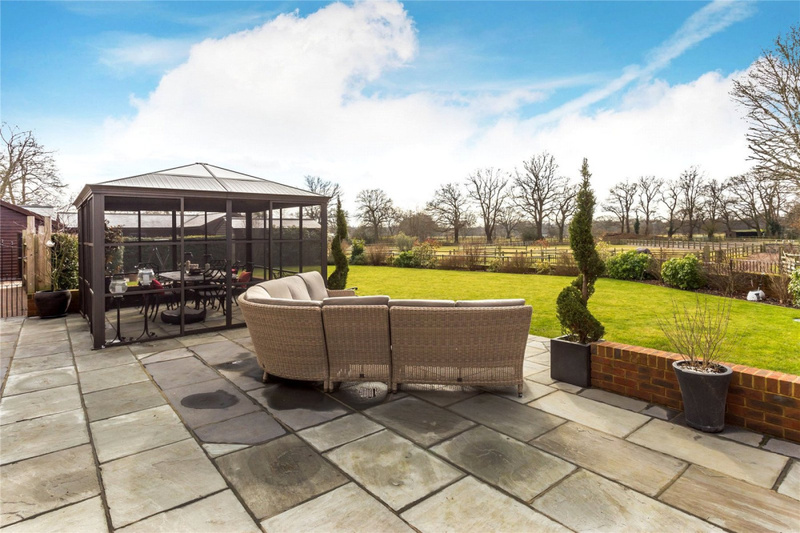 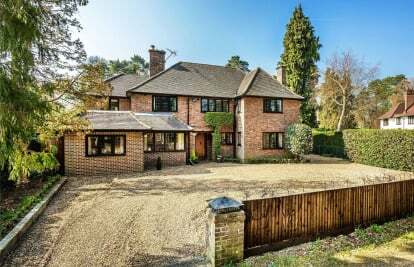 A fantastic equestrian opportunity of prime Surrey land circa 10 acres with exceptional state of the art facilities and stabling. 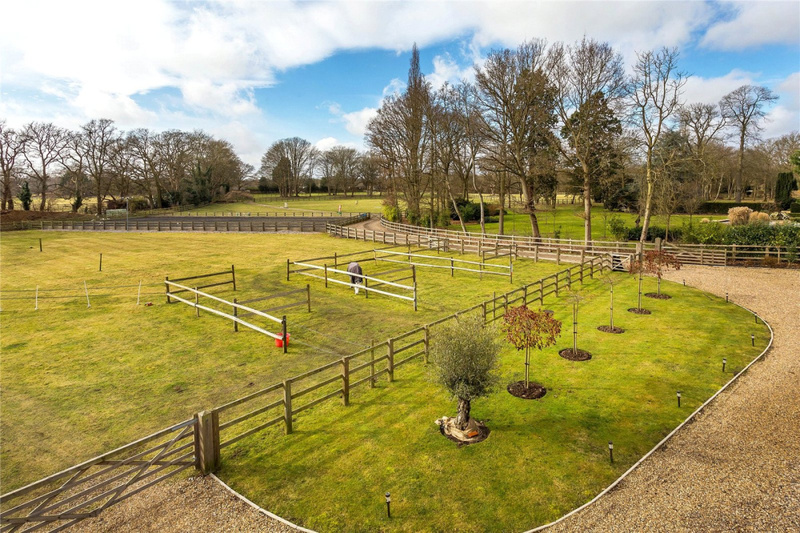 Including a fastidiously kept 42ft x21ft floodlit menage and a 700m canter track with the back fields and paddocks. 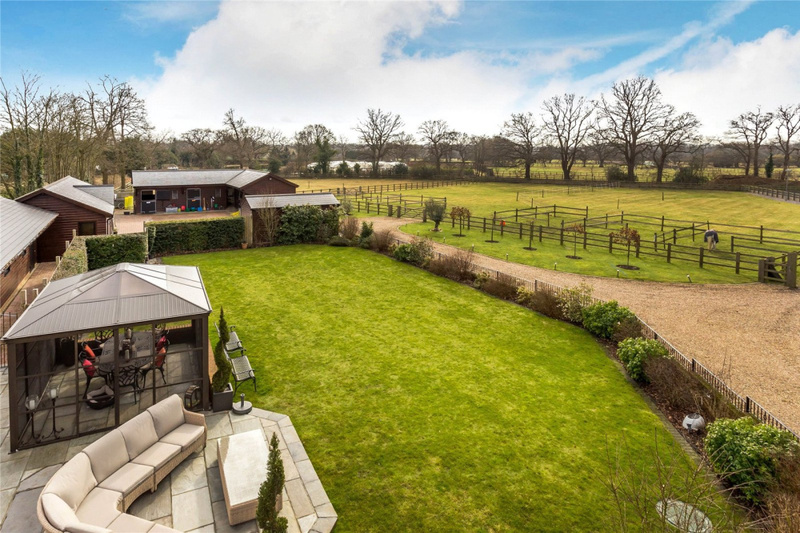 Milford Grange is enviably tucked away in the Village of Chobham enjoying a rural and peaceful setting. 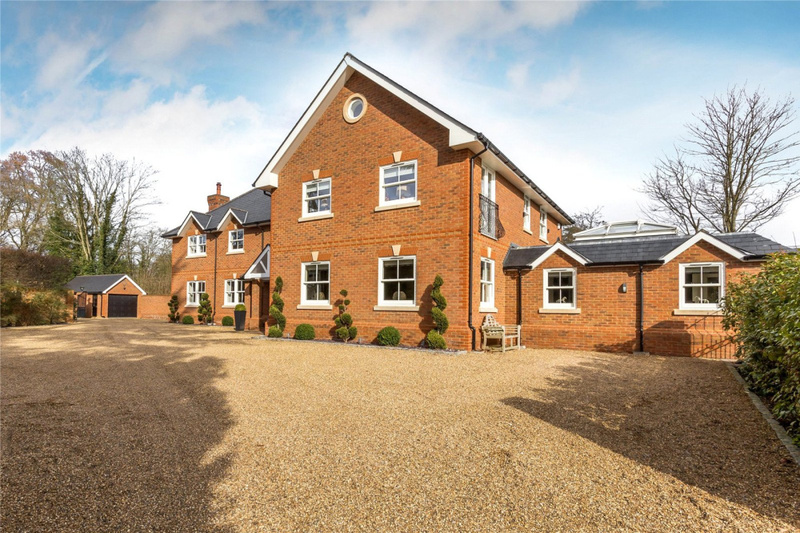 The property was designed and built by the current owners finished in 2012. 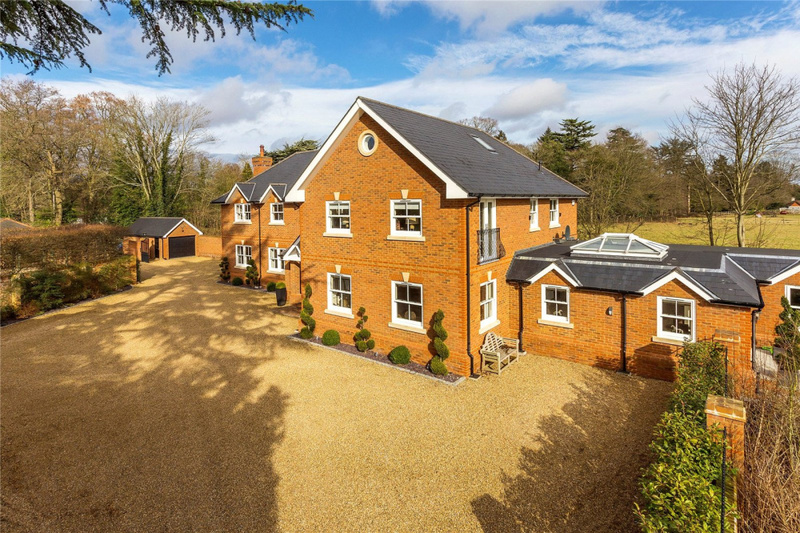 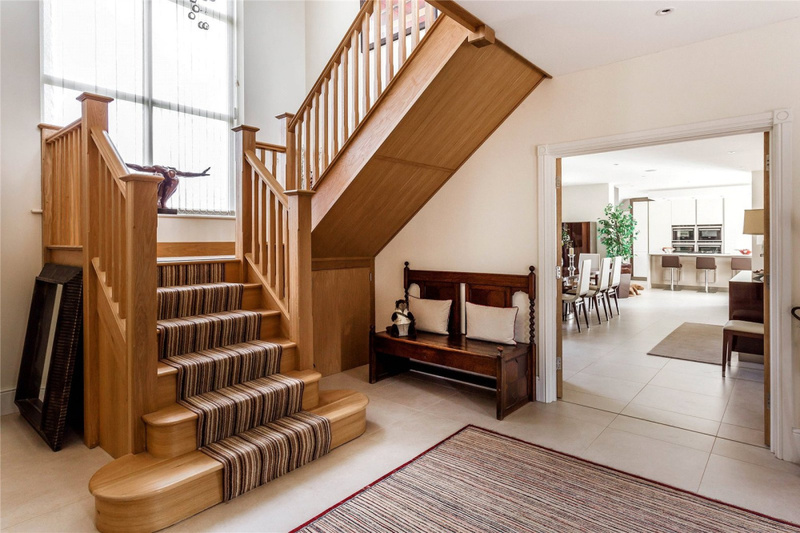 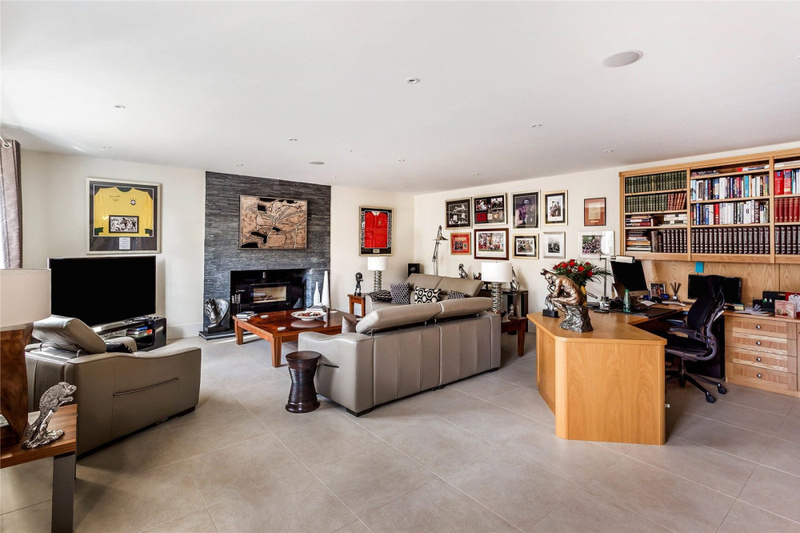 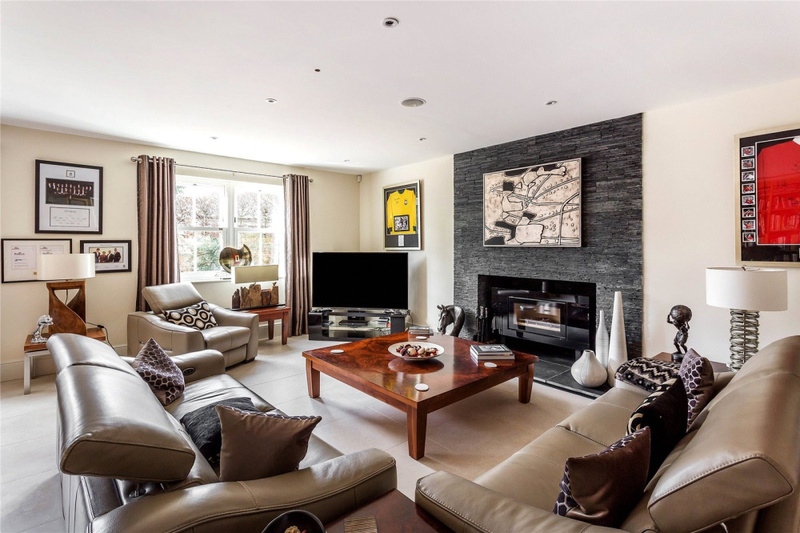 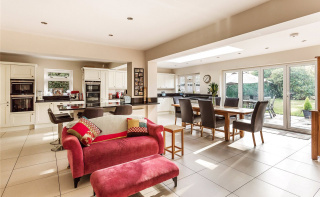 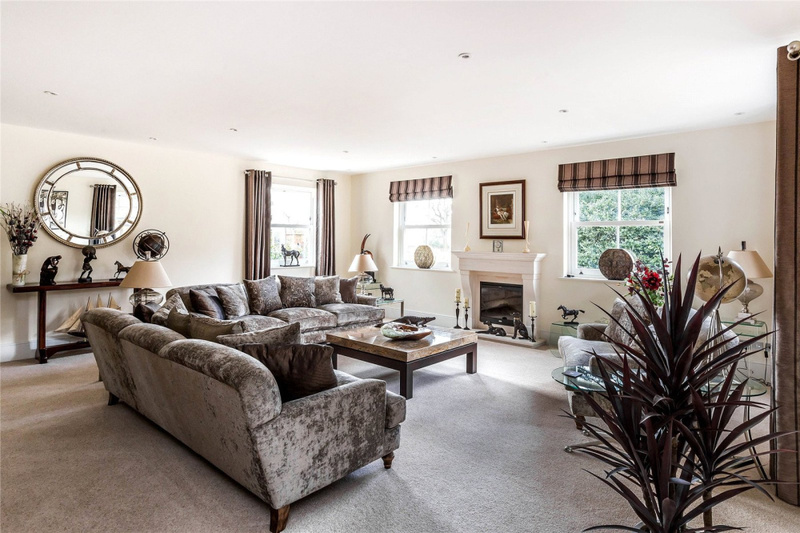 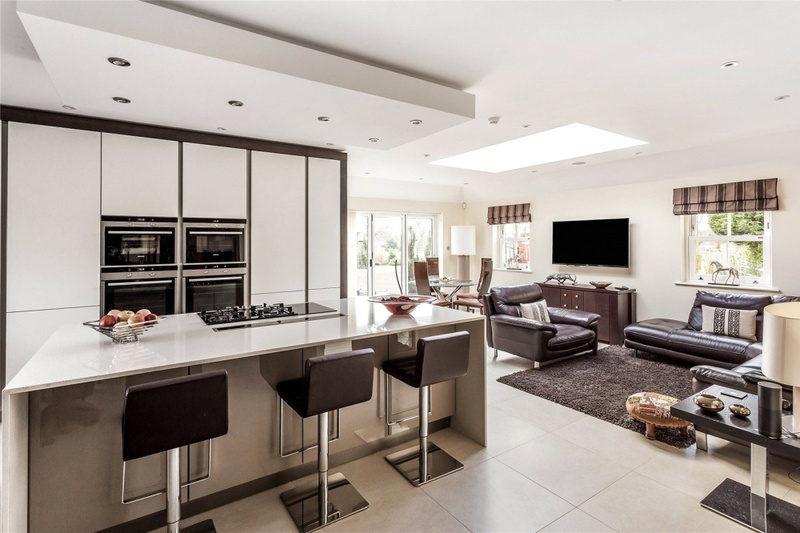 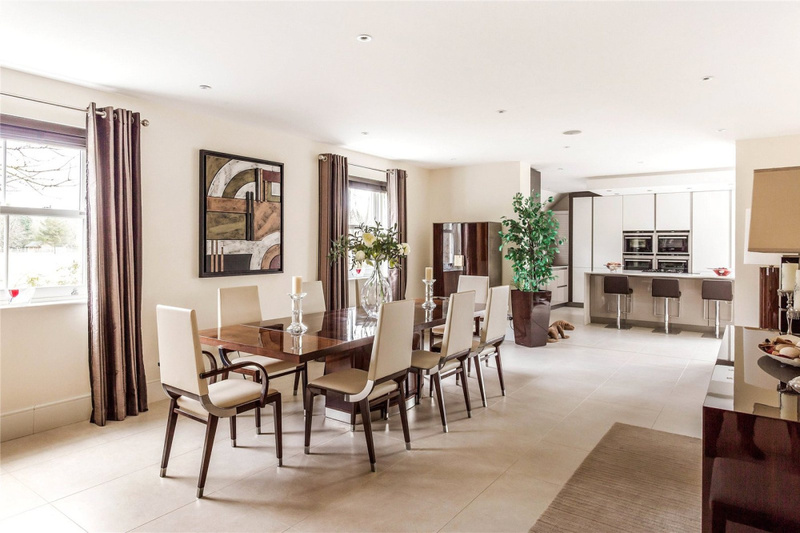 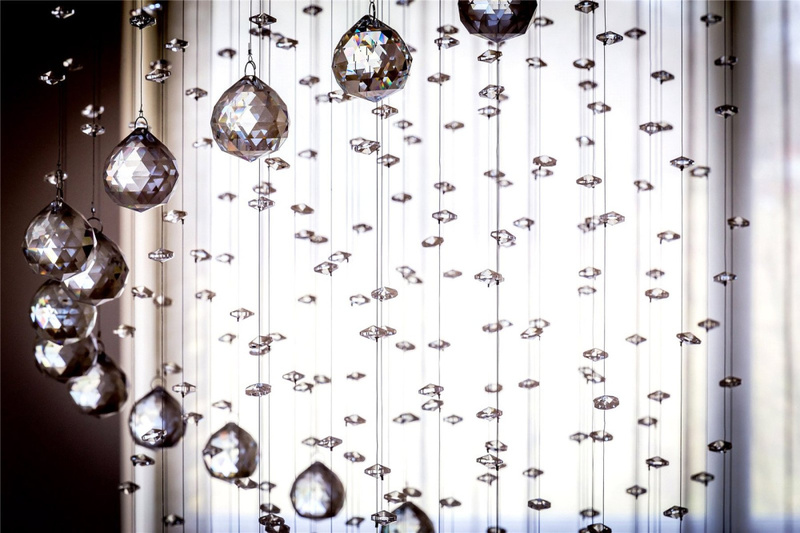 A stunning five bedroom family home that has been created to an exemplary standard throughout spanning just shy of 6000sqft laid out over three floors. 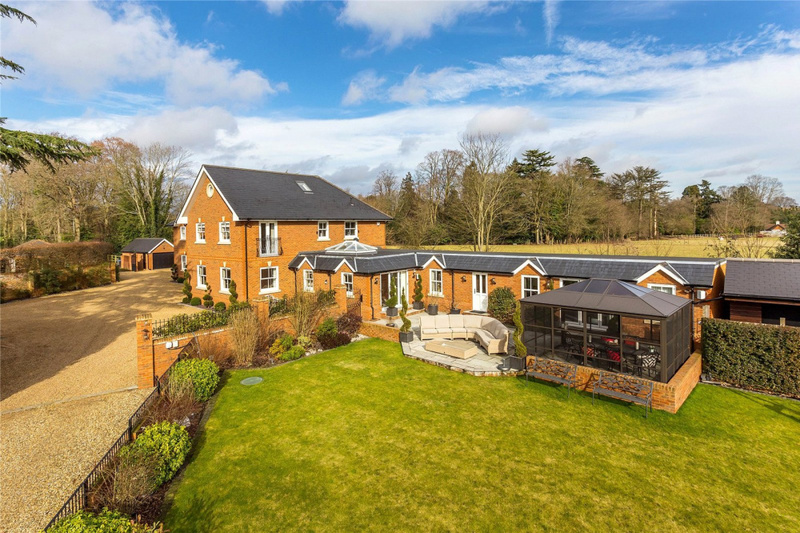 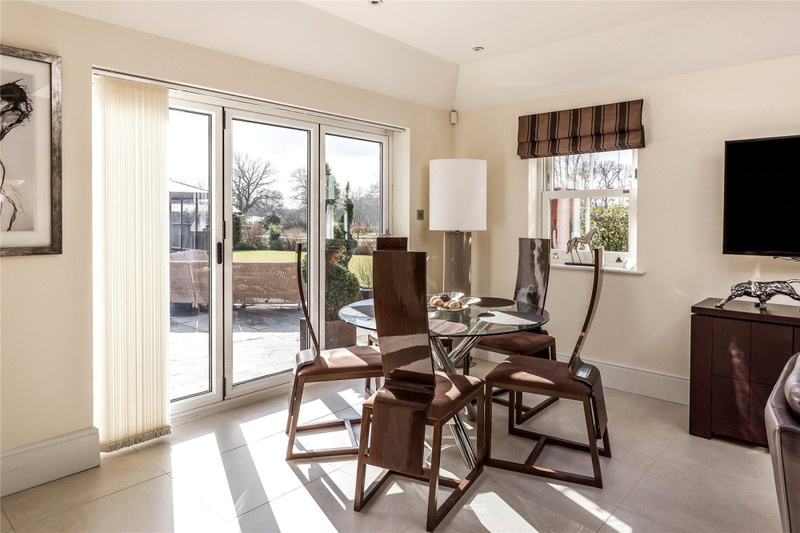 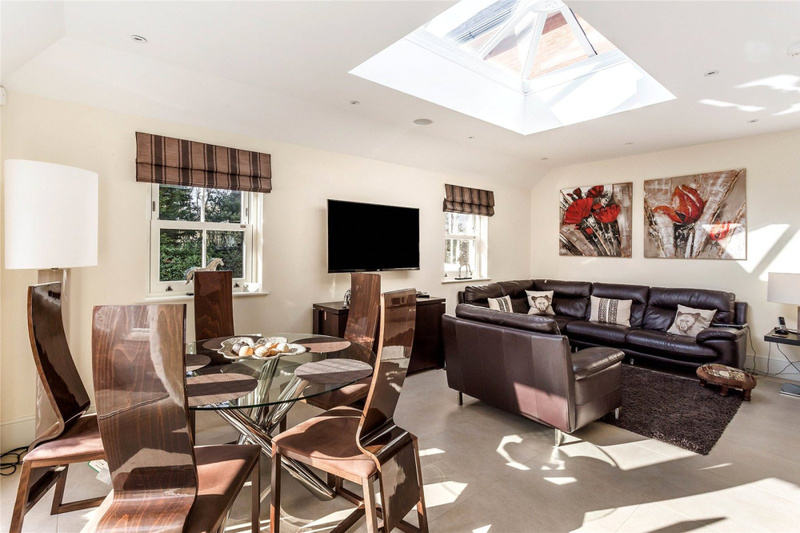 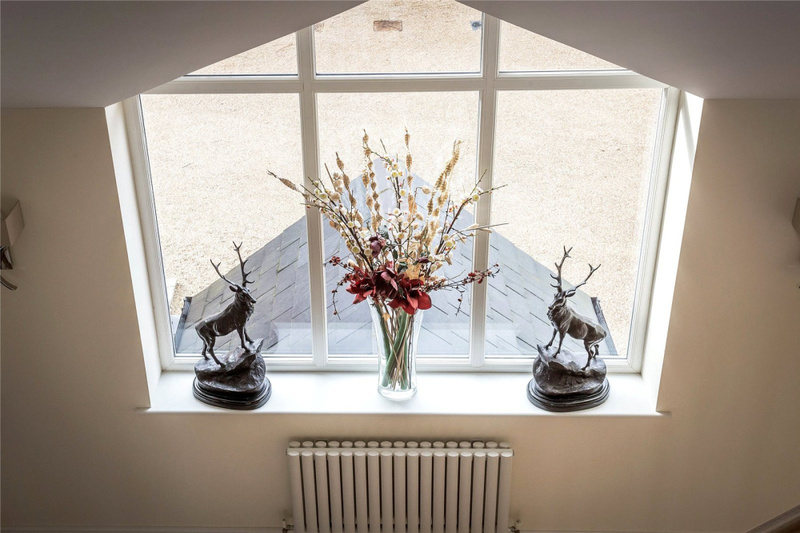 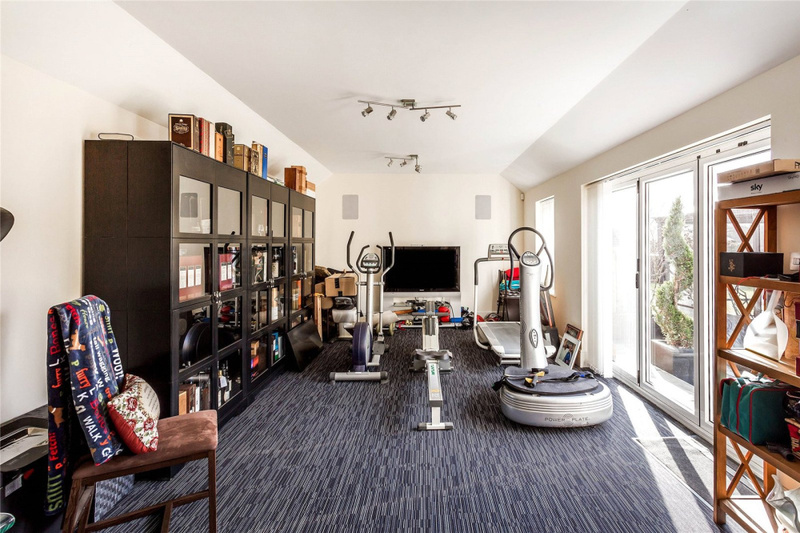 Accommodation provides five receptions on the ground floor including an impressive open plan German fitted kitchen/breakfast room, spacious triple aspect living room, sitting room/study with bespoke built in oak units and an adjoining home gym with vaulted ceiling. 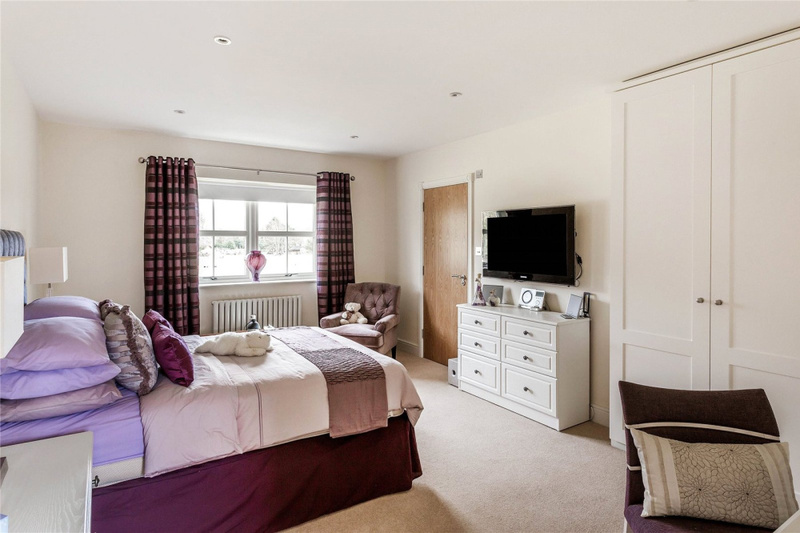 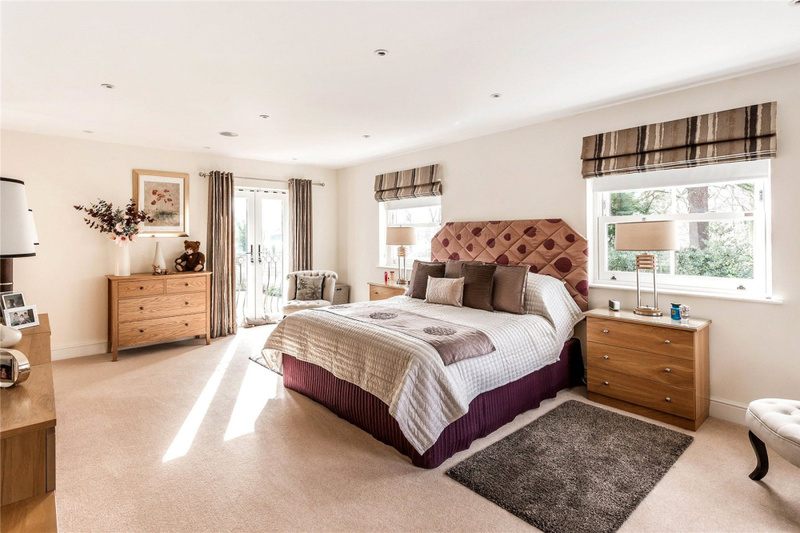 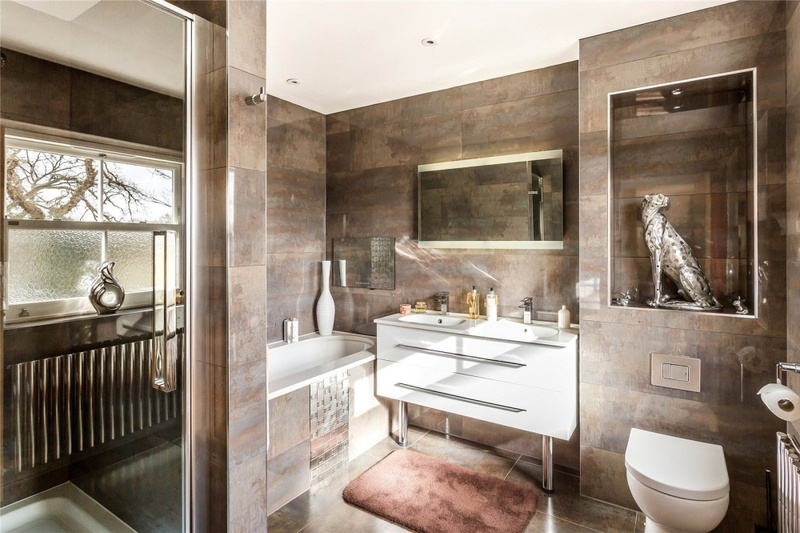 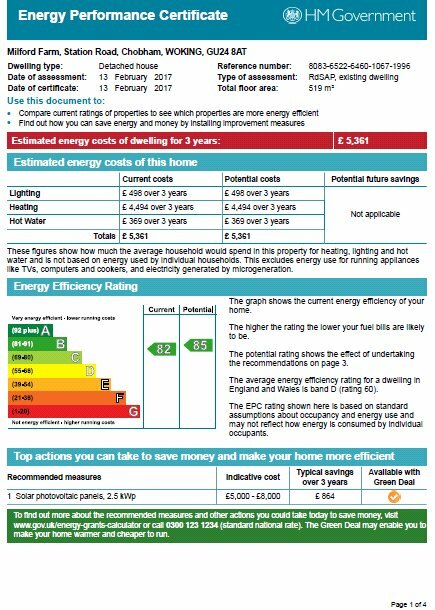 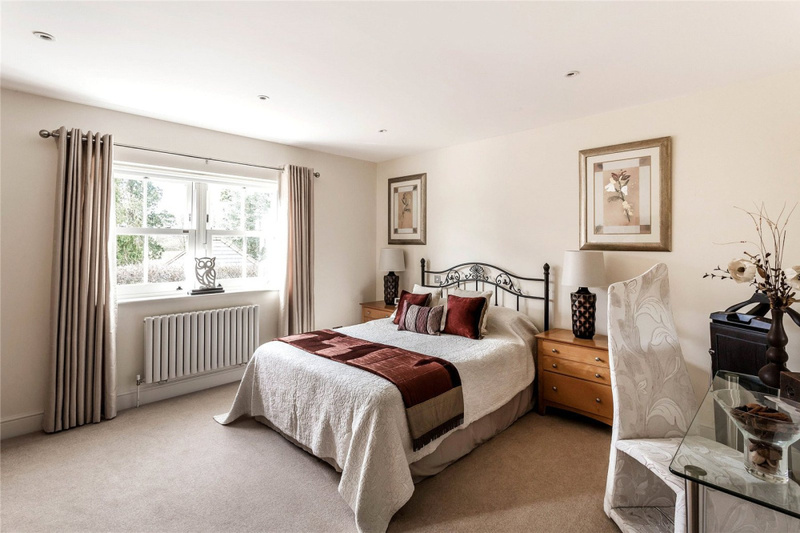 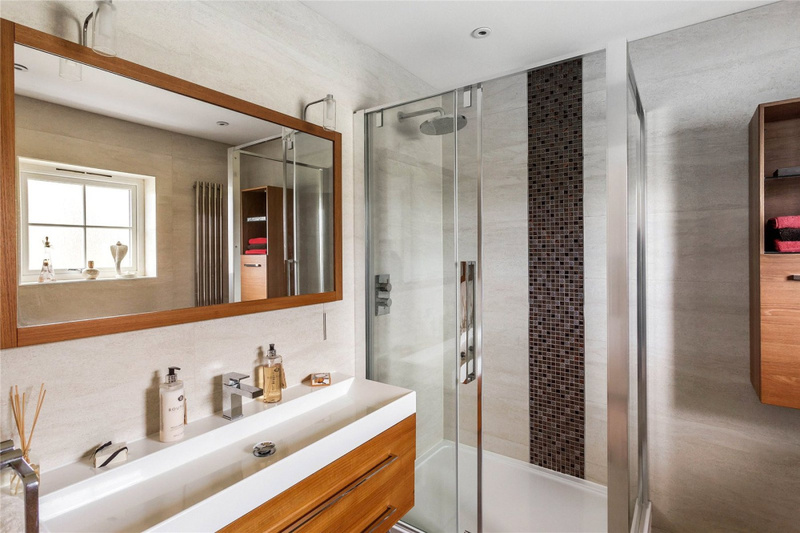 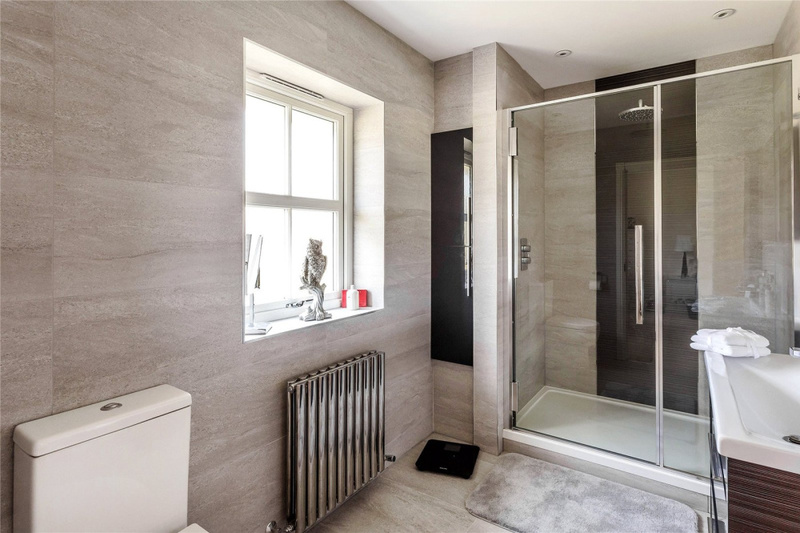 Upstairs provides four en suite double bedrooms on the 1st floor and two further large double bedrooms on the tops floor with provision in place for further bathroom or even a kitchen if required. 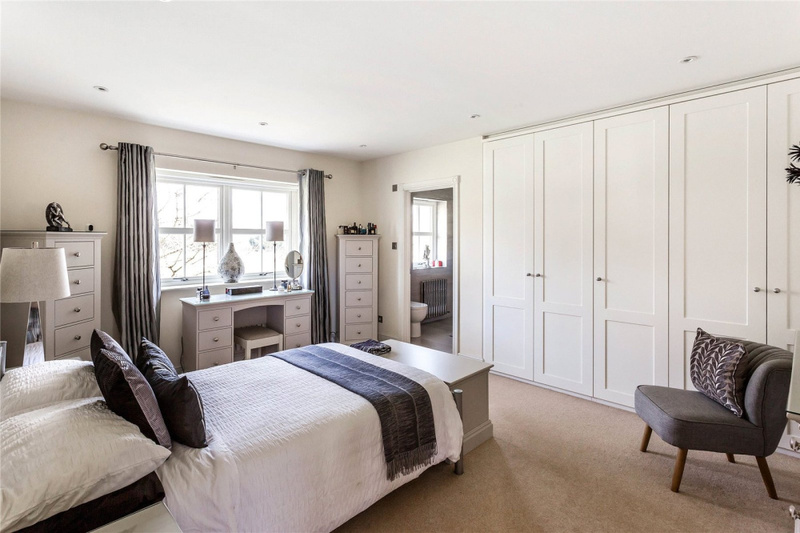 The sumptuous triple aspect master suite offers panoramic views across the gardens and grounds whist also providing a large walk in wardrobe/dressing room which in turn leads to the luxury five piece en suite. 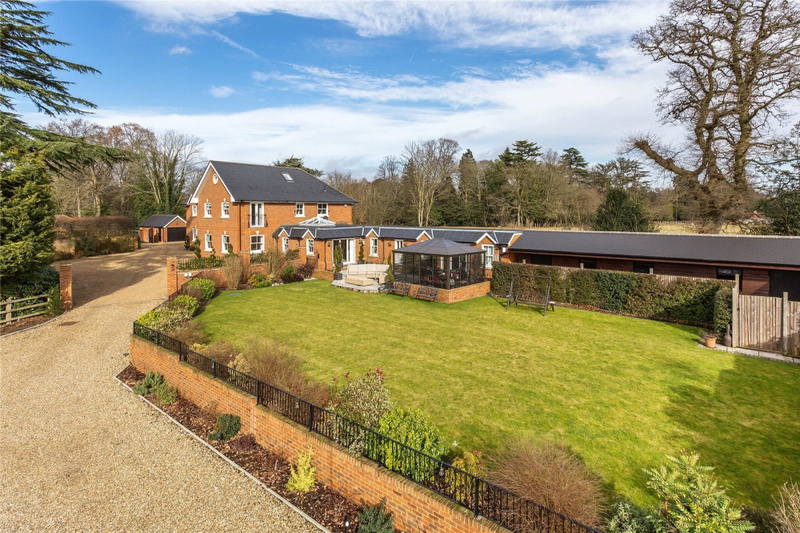 Outbuildings amounting to just shy of 3000sqft are ideally set between the main house and adjacent land formed around an immaculate cobbled courtyard. 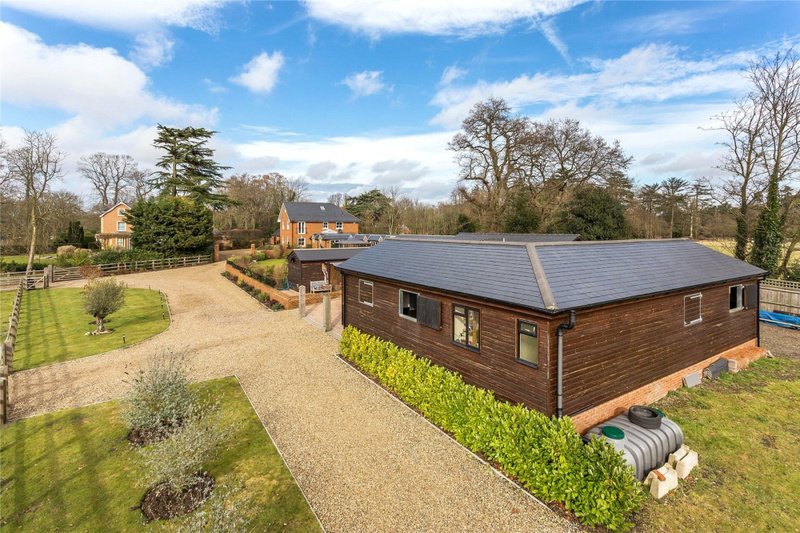 These currently include 4 state of the art double stables blocks complete with power, light, water and remote controlled cctv. 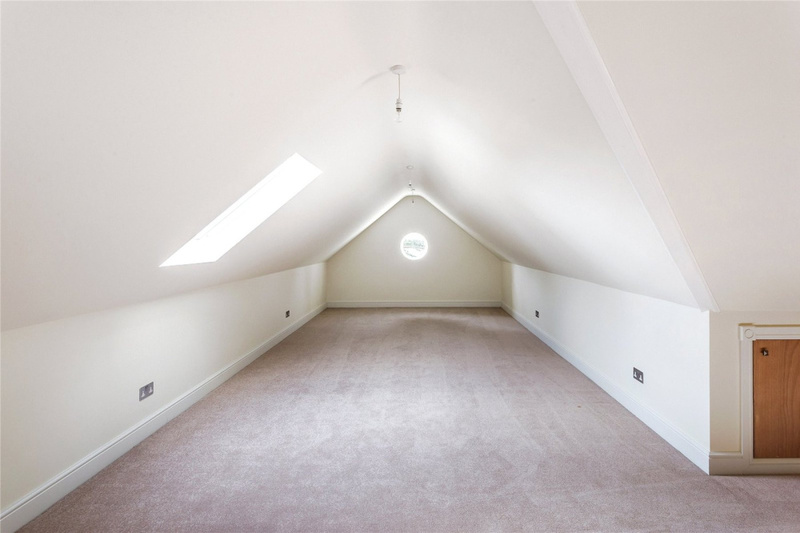 A large tack room with kitchen and w/c. 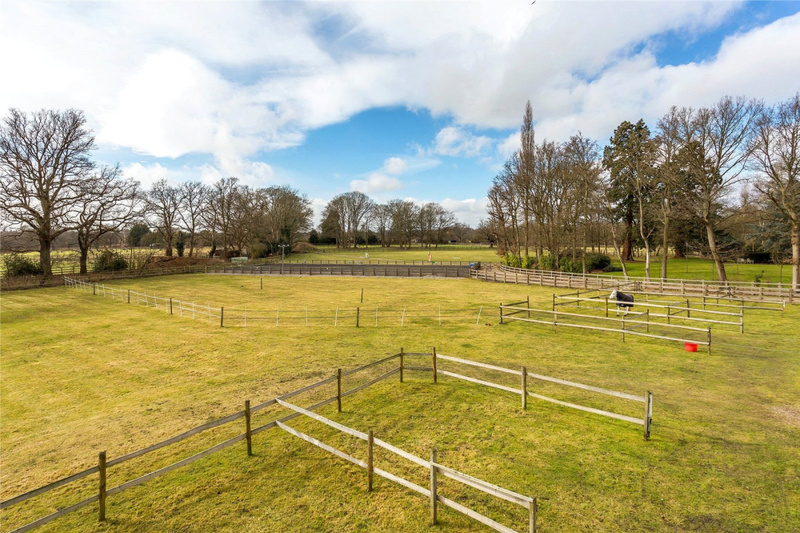 Open 23ft double carport, 19ft hay barn, 39ft enclosed storage barn and three further matching cladded storage barns which could provide up to 3/4 more stables of the same format if required. 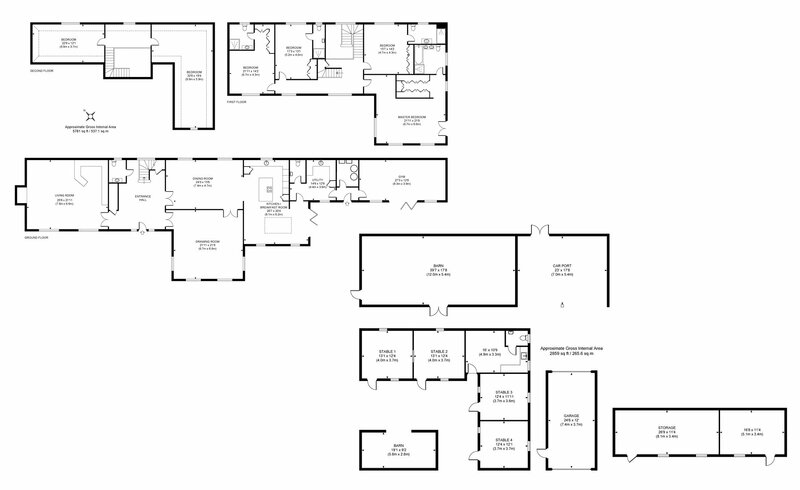 There is also a detached garage away from this area toward the main house with electric up and over doors to front and back providing a drive through option.